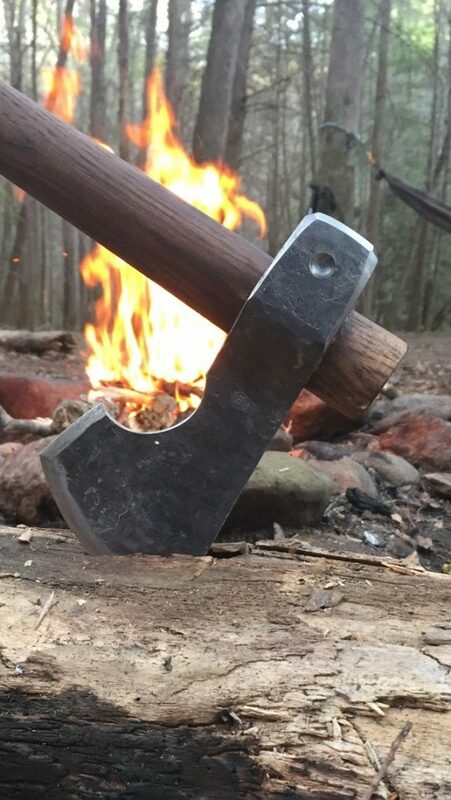 Traditional, hand forged tomahawks haven’t changed much over the years but there is new tomahawk available that manages to teach the old workhorse some new tricks. The GOShawk is the result of a collaboration between Michael Herdson at Pine Fire and H&B Forge. It can do everything that a typical hammer pole tomahawk can do but it also boasts a few features that set it apart. The GOShawk has a .85 pound hammer pole head on 23″ haft. A longer haft can be used to balance a heavier tomahawk head and adds speed to the swing. The head on the GOShawk a mid-weight compared to most tomahawks and when placed on a long handle, it should hit very hard. In addition to the typical cutting edge, the GOShawk also features a utility edge on the lower edge of the bit. 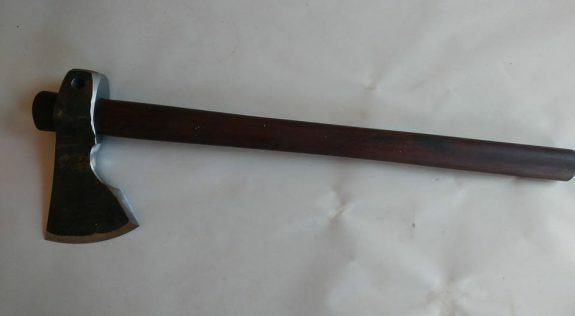 This edge can be used for scraping a ferro rod, tinder preparation, or other tasks that you might not want to risk damage or dulling to your main cutting edge. It also has a relief cut behind the bit that allows the user to get their hand behind the cutting for fine work and makes the head more comfortable to hold when it is off the haft. Finally, the GOShawk also features a 3/8″ divet that can be used as a bow drill socket. The socket is usually the hardest part of a bow drill set to manufacture in the woods so having one with you, can be a great advantage if you have the skills to use a bow drill. Check out the GOShawk at H&B Forge.